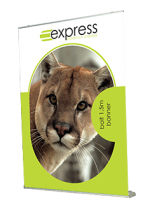 Roller banner stands are quick, easy and affordable display solutions. 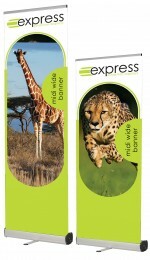 Roller banners are different from tension banners as the graphic simply rolls into the base unit. The graphic is then protected by the base unit during storage and transportation. 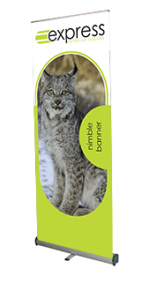 When it comes to choosing your perfect pull-up banner, size really does matter. 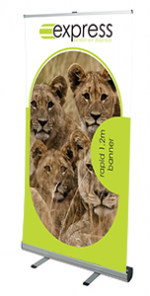 Our banner stands come in three size groups: miniature for tabletop displays; standard; and wide. 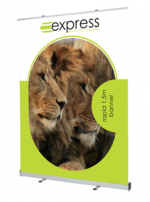 If you can’t find what you’re looking for, call us on 0808 274 5400 to discuss your display needs. Our Flash A3 table top banner is perfect as a miniature display or sign to be used on tabletops as it’s only 4400mm tall. 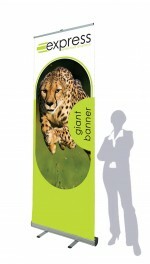 As our smallest banner, it’s great to use to advertise flash sales, events, or messages on reception desks and counters. The standard width for our roller banners is between 800 to 850mm wide. With a great selection to choose from, it’s then an aesthetic choice to find a base that you like. Think about whether you want pull out feet for support, or hidden feet to find your dream banner. 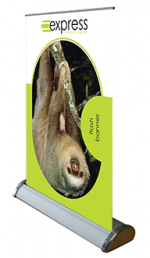 As a quick start, our best seller is our Dash roller banner stand and is our most economical choice too. 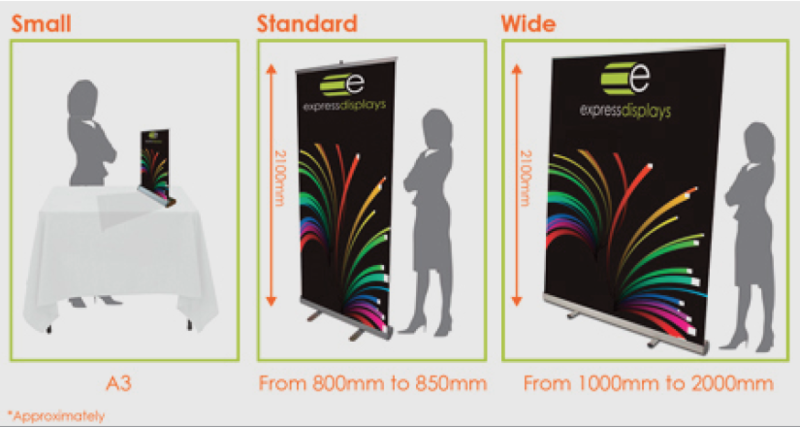 Looking for a banner that’s bigger than 850mm wide? If so, then you’re looking for our Rapid 1000 Roller banner at 1000mm wide. Wide banners provide a perfect backdrop to be used as press walls or to fill space at exhibitions and events when a standard sized banner just won’t do. They also take up less floor space than a pop up exhibition stand! Most banners you will come across are single sided so that they can be placed against walls, or areas that will not be seen. But what if your display will be seen from all sides? 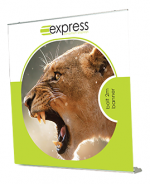 To maximize your exposure, choose a double sided banner. You can choose to have the same graphic repeated on both sides, or you could choose different messages to suit your needs. Our Quick banner is perfect for indoor events as a double sided banner, while our Blitz outdoor banner provides added flexibility to be used outdoors too.